Quilts have an historical place in American history and have been prized over the years for their intricacy, color and detail. Quilts in the past were intricately pieced together from small leftover bits of cotton or wool fabric to create popular and traditional designs like “Log Cabin”, “Wedding Ring” and “Shoofly”. Later quilts became more fanciful and incorporated more elaborate fabrics like silks and velvets. These popular quilts from the Victorian Era became known as “Crazy Quilts”. 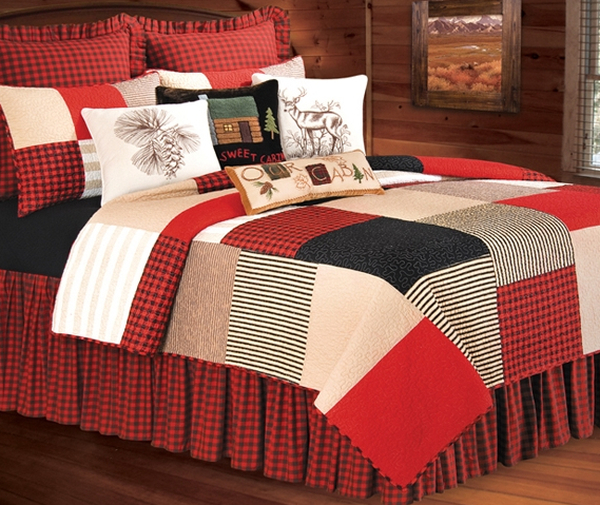 Today quilts have emerged from simple bedding to decorative accents in homes and commercial spaces. Authentic patchwork quilts can be handmade or machine pieced. Quilts can come in a variety of sizes to fit a number of uses. For example, many homes and offices use quilts as wall hangings in place of paintings. Smaller quilts can be used as table runners or table cloths. Nurseries are a great place to use crib quilts. They can be used to cover the baby or as a decorative wall hanging. Popular themes are ABC blocks, appliqué quilts with toy figures and all-white heritage quilts. 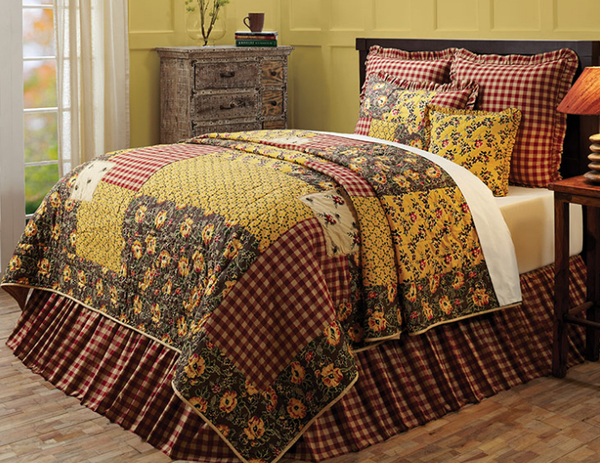 In bedrooms, many people use beautiful quilts as coverlets over existing bedding as an accent. Smaller quilts can be framed for use anywhere in the home or office. Special racks are available to store and display fancy quilts. For living rooms, attractive quilts can be used as sofa throws. For modern décor, many fabric artists are making portraits, landscapes and modern art from quilt pieces. Truly, quilts have a place in any room of the home.